Hello and welcome to my website, my name is Ian Scofield and I am a writer. I have been writing fiction works since elementary school in some form or another. Since then my works have obviously improved significantly. I have a Bachelor of Arts Degree in Criminal Justice with a Specialization in Administration of Justice from Seattle University. At the current time I am employed as a licensed security officer. I am trained in a full suite of tools from handcuffs, to batons, to OC spray, to taser, to firearms. During my time at Seattle University I participated in a summer program at New York University called Writers in New York. At this program we wrote, and we wrote a lot. Then during classes we would analyze our writing and learn new writing skills. We also participated in a variety of writing and creative activities such as readings and a writing scavenger hunt through New York, NY. While at Seattle University I served four years as an Auxiliary Officer for the Department of Public Safety. One of my projects just before I left was working to rewrite the Auxiliary Officer Policies and Procedures Manual. I also created a Training Manual and training procedures from scratch. At the same time my capstone graduation project was to create a mock Standard Operating Procedures Manual for SUDPS. These were my first explorations into professional writing and I enjoyed it. In 2014, the year after I graduated, I started writing as a freelancer on Fiverr.com. Since then I have written well over 200 pieces and have a very positive rating of my work. I knew I was a good writer but I was honestly surprised by all of the work I started getting. Every year I participate in National Novel Writing Month. During NaNoWriMo the goal is to write a novel of at least 50,000 words before the end of the month of November. This is a challenge for writers because you cannot use any previous writing for your novel. All work from the first sentence to the last sentence is done in the month of November. I have won (completed) NaNoWriMo three years. I currently operate a fitness and weight loss blog for my weight loss goals. 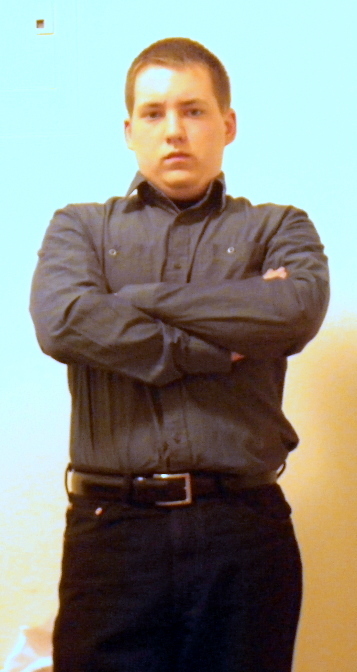 When I started working with my current company I was working in plain clothes at grocery stores and I put on weight. Now I am trying to lose it and as part of that process I started a blog to fuel the changes I want to see in myself. why don’t you open an account at odesk? I have an account on odesk. I have just found that other websites are better for finding work.